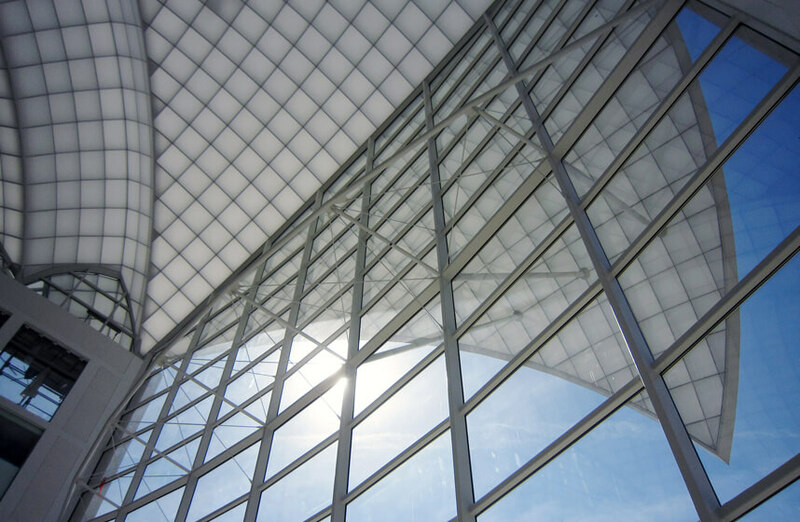 In the hands of international façade construction specialist seele, steel and glass are turned into seemingly weightless building envelopes. The result are buildings thoroughly optimised in every respect: geometry, loadbearing structure, costs. 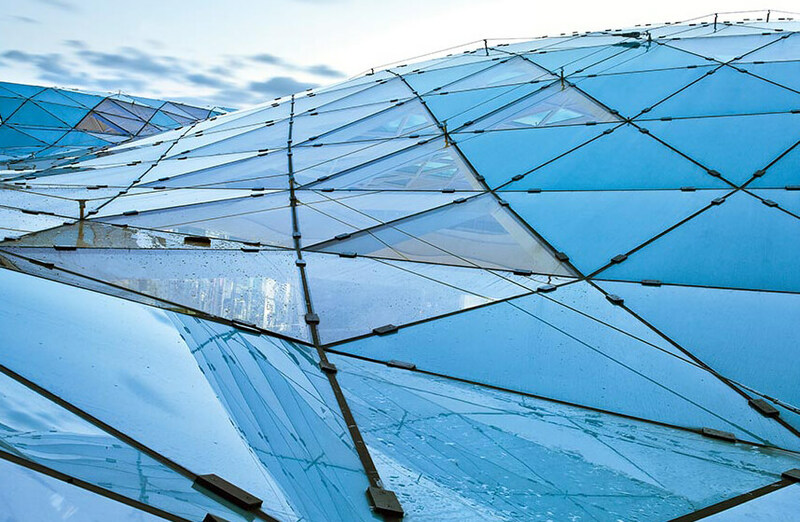 Ambitious architects with highly complex construction demands cannot find a better partner than seele, a company proficient in all facets of steel glass design, for the optimum realisation of design ideas. 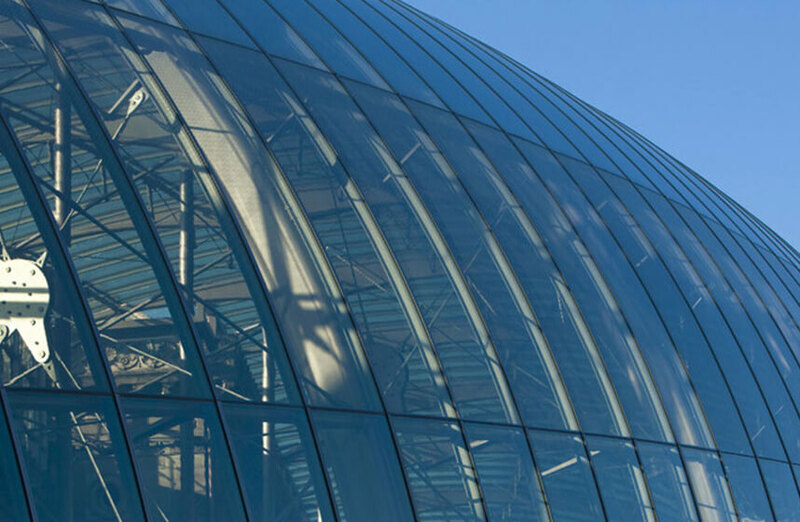 seele designs and builds plate and shell structures in single- or double-curvature structures such as glazed roofs and atria, and curving roofs with amorphous forms. 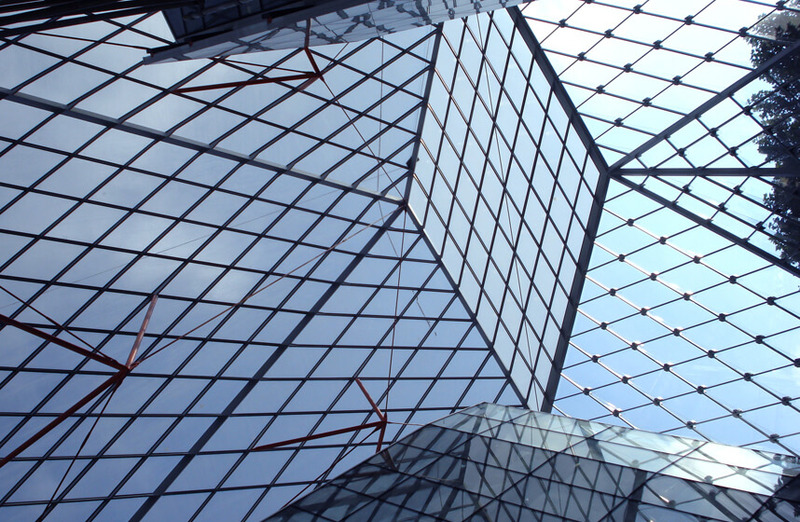 Or gridshells, cable net façades and tubular structures in complex forms with multiple glass infill panels. 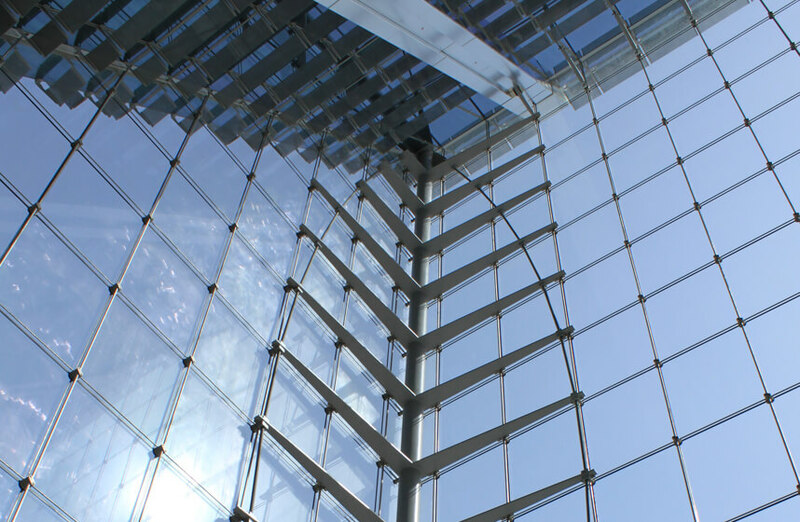 Fascinating free-form surfaces and maximum transparency are the hallmarks of such façade construction solutions. And it is not only their looks that set standards. seele’s designs also take care of interior climate functions, e.g. with highly complex glazing, integral ventilation flaps, movable louvres to redirect the incoming light or movable photovoltaic panels. On request, seele can also integrate lighting, heating, fire detection systems, drainage installations and moving elements plus their drive mechanisms. 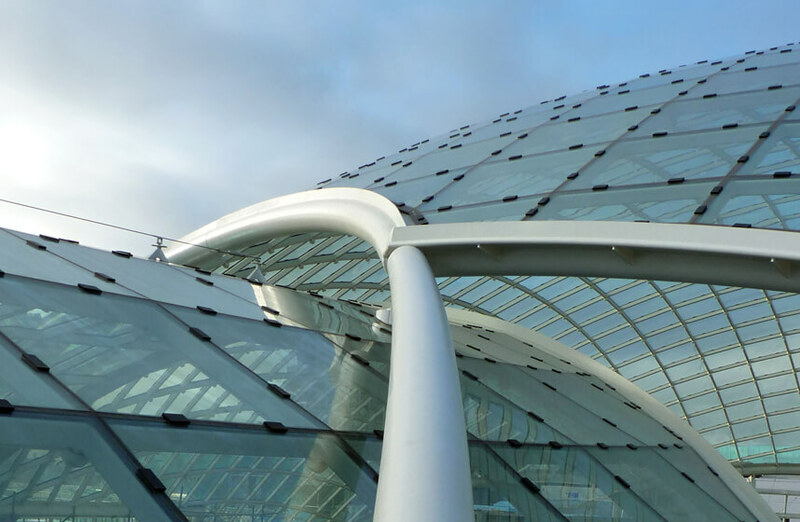 Parametric design, quality control at all stages of a project, rigorous tolerance concepts and temporary works design guarantee results in the very highest quality. Even the draft design phase can be called high-tech; steel glass designs are put together first as detailed, complex 3D models. The high level of engineering proficiency at seele serves to reduce the design radically to the minimum number of visible loadbearing members. Early stages of the design work involve combining forms, structural systems and materials to solve the client’s structural, architectural and aesthetic requirements in the best possible way. Parameterised data can be used to simulate scenarios and hence plan long spans without intervening columns. This digital preliminary work is the basis for fabrication drawings and construction concepts. Westfield, London: The free-form shell structure “made by seele” forms giant waves. Virtually every triangle and node in the structure is unique. Cutty Sark conservation project, London: a free-form shell structure made from steel hollow sections connected via six-way nodes. Concealed point fixings in the cavity between the panes connect the triangular insulating glass units to the supporting framework (“sefix” system). 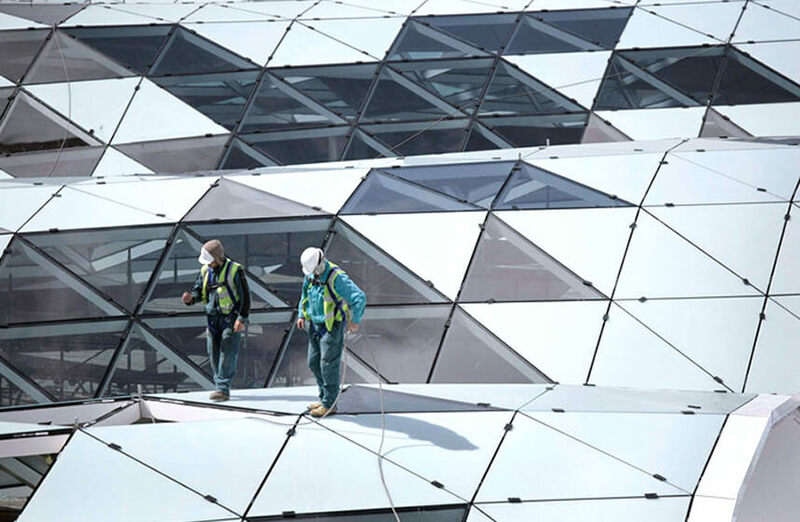 Sowwah Square, Abu Dhabi: The 1,600sqm façade to the main entrance foyer is tensioned around the corners and one of the world’s largest cable net façades. It is designed for wind-induced deflections of ±1.10m, with tension forces of up to 800kN in the cables. Trinity shopping centre, Leeds, UK: seele has created a double-curvature shell structure consisting of eight separate segments that slide over each other where they meet. The comprehensive planning also took into account the complex rainwater run-off. 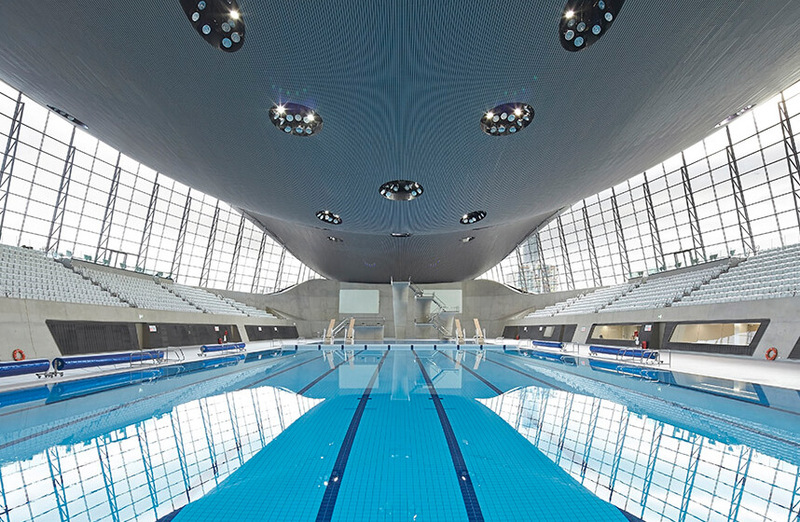 Aquatics Centre, London: Hot water flows through the steel sections of the façades to heat the structure and prevent condensation. seele designed the post-and-rail façade as a vertical cantilever with a large expansion joint and no load transfer at the top. 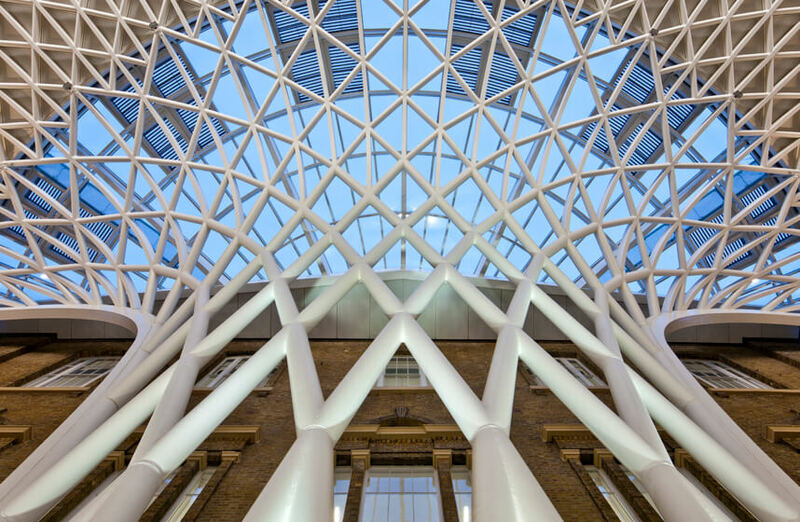 King's Cross, London: This 9,000sqm self-supporting free-form shell structure by seele satisfies strict blast resistance criteria as well as structural requirements. Institute of Peace, Washington, D.C.: The horizontal members of both large post-and-rail façades are connected to the building at the sides via tension springs, which reduce the tension forces due to deflections of the façade and also allow the use of smaller members for the post-and-rail structure. Baker Street, London: seele has created an enormous folded plate roof made up of three triangles and a diamond sloping down towards the street. It seems to be weightless, floating 17m above a 400sqm atrium. Although it is true that we cannot overcome gravity, anyone who can exploit it as skilfully as seele will achieve fascinating new perspectives in steel and glass. The skill lies in controlling the forces, grouping them, guiding them. Precision-engineered nodes and innovative connection details are crucial here. seele’s designs for these are clever in two ways: firstly, they guarantee maximum stability; secondly, they guarantee better economy through optimised geometries and fabrication workflows. Concepts based on challenging architecture are thus feasible and at the same time affordable. It is this same goal that drives seele to coordinate the logistical and constructional needs of complex projects with experts at an early stage. Every seele steel glass design is as unique as its underlying concept. Pioneering solutions are usually the outcome, e.g. 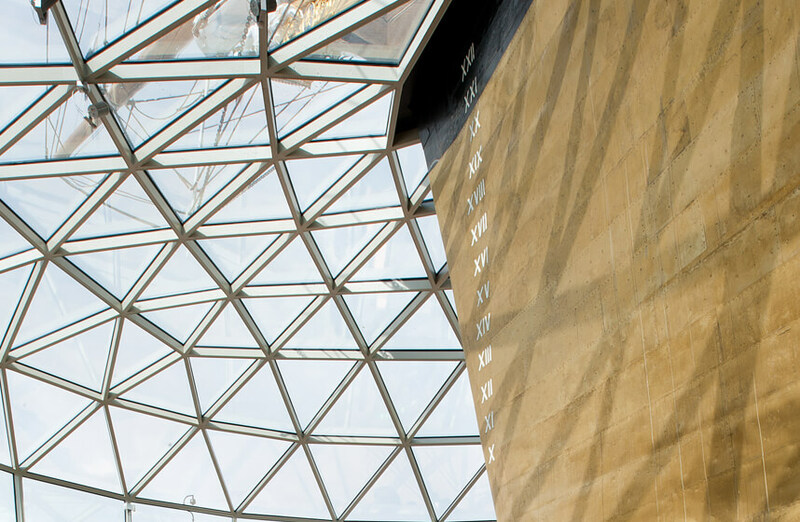 the Cutty Sark conservation project. In that project the company optimised the design and appearance of the toggle system so that the glass fixings could be concealed in the joints in the cavity between the panes using the “sefix” system. Other examples of solutions created by seele are pretensioned screw connections concealed in framing members and screw connections that, compared with welding, permit a high degree of prefabrication plus safe and fast erection. 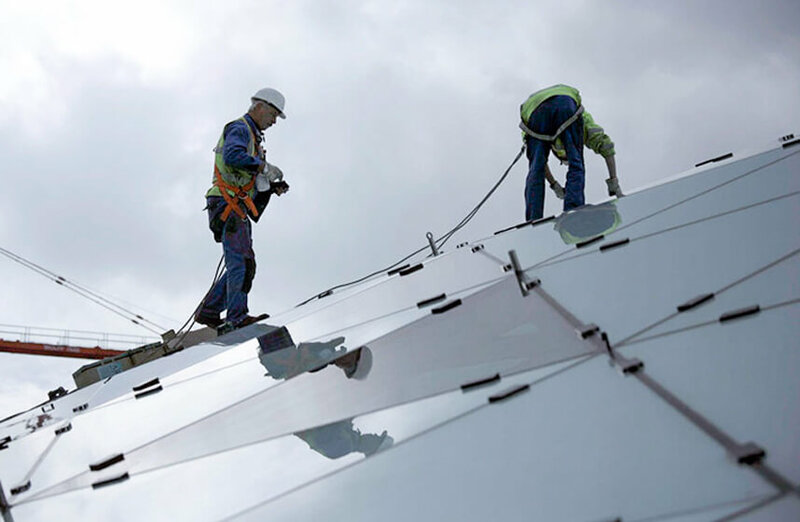 As a glass and glazing specialist with an amazing power of innovation, seele is regarded as a pioneer in this field. Bending glass is one of the company’s pre-eminent skills. One cold bending technique involves forcing the glass into a curved shape over a rigid framework and then fixing it in this position with clamping bars. This increases the load-carrying capacity, and distributed loads such as wind and snow are primarily carried via membrane forces, less via bending. 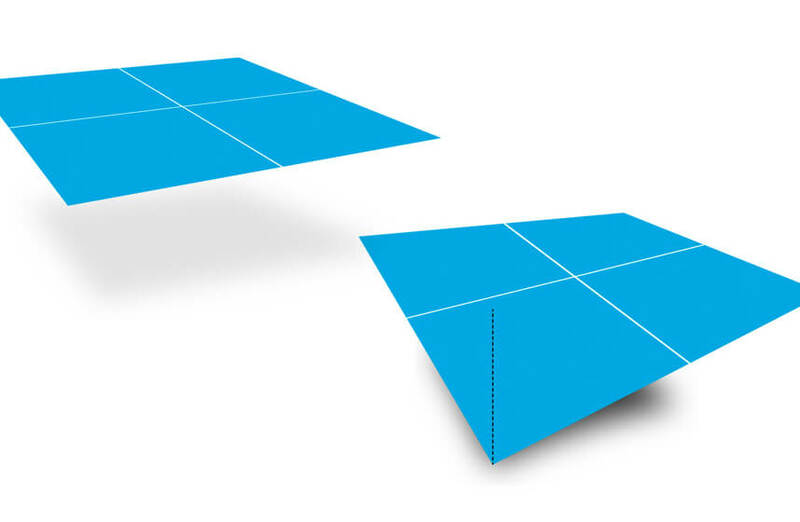 Consequently, the thickness of the panes can be reduced – and the budget, too. 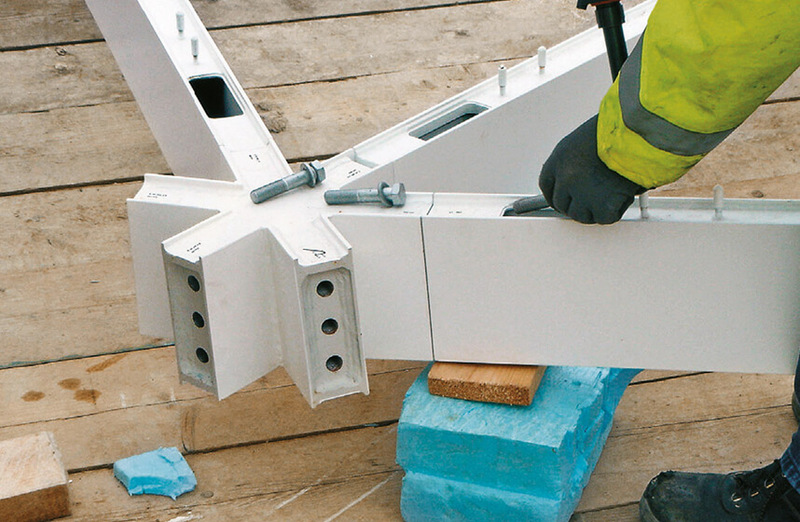 Cold bending over a rigid framework can therefore be sensible from an economic viewpoint, too. When that method reaches its limits, seele switches to hot bending and cold bending by lamination. Hot bending involves bending the heated glass to the desired form and then cooling it so that it retains the curved shape. In cold bending by lamination, the laminating film placed between two panes of glass holds the glass in the desired curved form. Cold bending over a rigid framework involves placing the initially flat pane of glass on a sufficiently stiff frame and then applying force to bend the glass to the shape of the frame. Clamping bars hold the glass in the curved shape. Glazed concourse, Strasbourg railway station: Various components make up the glazing: 6mm thermally toughened low-iron glass with double and overlapping screen printing in black and white, interlayer with integral sunshading film, 6mm thermally toughened glass with low E-coating and cold-bent glass (lamination method). 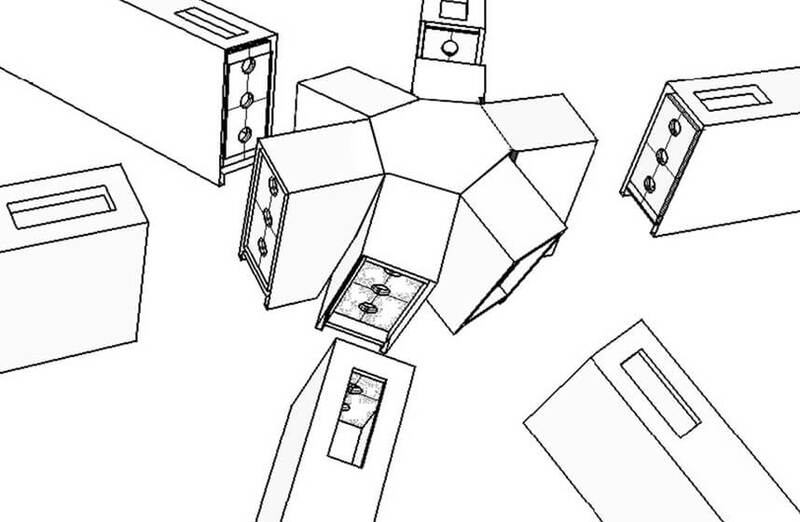 ...Every node in this project consists of 20 separate parts assembled and welded manually.